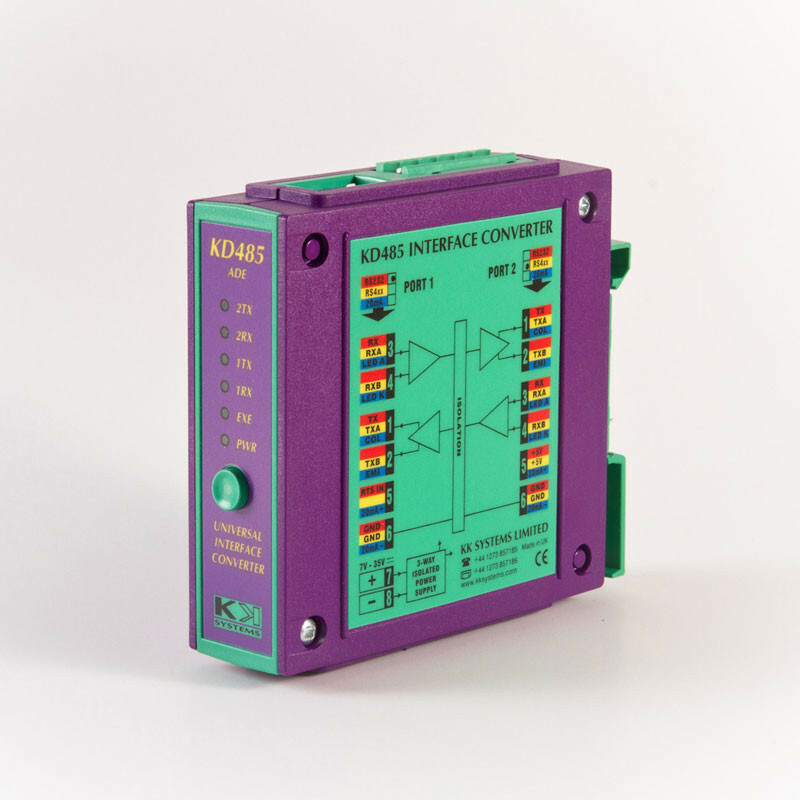 Mode 0: emulates KD485-STD but also provides baud rate and character format conversion, with data buffering and precise edge timing regeneration. Mode 1: as above, plus Auto Driver Enable (ADE). The Port 2 RS485 driver is automatically controlled according to Port 1 receive data. Mode 2: RS485 Addressable Adapter. This makes possible to connect non-addressable RS232 devices to a 2/4-wire RS485 bus, through which they can be polled by a single Master. Devices which emit data continuously are also supported by the KD485's queues. The RS485 address and an optional lead-in byte are fully configurable.